Endplate 40x80 M16 Compatible with ITEM/Maytec/similar | DamenCNC B.V. 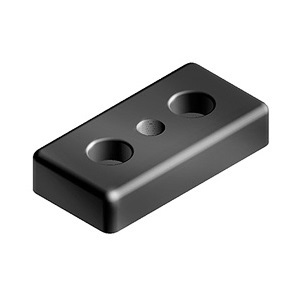 These sturdy aluminium end plates can be mounted to the end of the ITEM or Maytec or other similar structural profiles. They will fit the 40x80(L) profiles. Thread size Mectric Coarse M16. The most common use is to mount feet under machines and structures, so easy adjustments can be made to level out the machines. They can also be used to mount wheels under a structure to make it mobile. 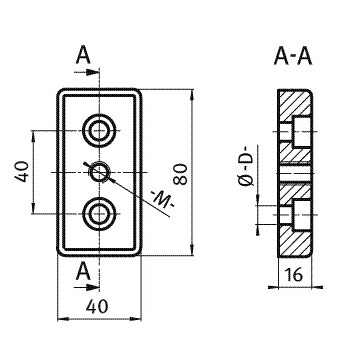 Take into account that you will need to tap M8 thread in ITEM or M14-M8 thread adapter Maytec.